Bartender returns with one of his fantastic cocktail sets in which we will have to help the waiter to serve the right glasses to make his customers happy. This time we are in a 5 star hotel and we are going to serve very important people, so you can earn a good tip by making the right cocktail. We will start by clicking on the client to know what he wants and then on the waiter who will give us the clues. Look at the shape of the bottle to select the right one and create the best cocktail. 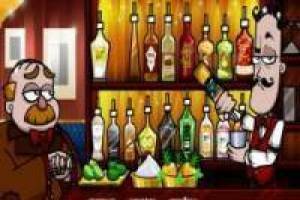 Discover alternative endings for each character and thus you will unlock the following ones. 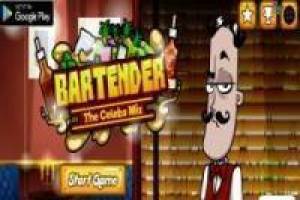 Take charge of the bar in Bartender Celebs Mix. 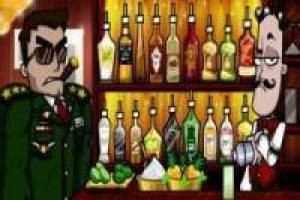 Enjoy the game Bartender Celebs Mix, it's free, it's one of our bars games we've selected.